Now you can check out prices and options online yourself and actually go ahead and book it if you are too anxious to wait for Brenda's help. Keep in mind that booking through this page and these links will keep Brenda as your travel agent and she can help you if you need assistance with something you booked here. ​If you book something online with these vendors not using this site and the links below then Brenda cannot help you with any problems that occur. We recommend that you use these links for reference and then call Brenda to make sure there is not a better deal out there for the same trip! ​Traveling to Punta Cana? Use this link to purchase your $10 tourist card before you go! It will save you much valued time waiting in lines. Apple Vacations is one of America's favorite tour companies. You can see charter flights and published airlines and combine them with great resorts. You can book your packages yourself on this site but Brenda can see many more combiations and you may want to call her with what you find before you actually book it. Make your next vacation one of luxury at a Sandals Resort on one of the beautiful Caribbean Islands. Use this link to see all the benefits and special things a Sandals Resort can offer! ﻿Take your family to a fabulous island resort at one of the well known Beaches Resorts! Children will be entertained by Sesame Street and X Box while you relax in the adult areas. You won't be disappointed with these top notch properties! ​Prebook the tours you plan to take in either Mexico or Punta Cana and pay 5% less than if you wait to book them there! ​This site will allow you to look at all airlines and all islands and popular destinations. You can see real time pricing and even book your trip. You will not see things like charter flights offered by some vendors. I would use this to get the lowest price you can find online but then call Brenda to make sure she can't fin better flights or rates. 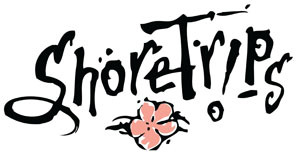 This site offers a large variety of shore excursions for any trip that you might be on. The prices are very competetive to what the cruise lines offer and you get the convenience of pre booking and paying for each trip. I use this site to book my tours when I am on cruises because it means I have more of a personal tour rather than being with a crowd from the ship. 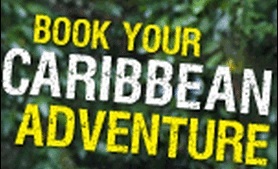 ​Use this website to book fabulous island adventures in the Caribbean. Island Routes Tours is a top notch tour provider and you will be glad for their expert experience with only the best of tours. ​Viking River Cruises is the ultimate in cruising the rivers of Europe. Not only can you see things that the larger cruise ships couldn't even come close to, most of the excursions are included in your price! Travel Impressions is one of the most respected tour companies in the industry. Feel safe in knowing that you are getting a top notch vacation to one of your dream destinations. They are great at luxury travel but also offer budget minded travellers many options. There is now a bus service that goes from Harrisburg to Philadelphia or from Philadelphia to several cities staring at just $1 each way! 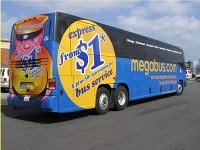 Check out Megabus.com to save on bus transportation! This isn't actually a travel site and I have nothing to do with anything you may book on this site, I just thought it might be helpful to all of my Philadelphia and Harrisburg clients!